What is the most effective way to mitigate the chronic stress of today’s world? 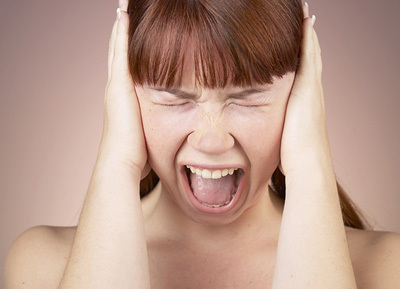 Chronic stress has become the American Way. According to an American Psychological Association report in 2009, 69 percent of employees report that work is a significant source of stress and 41 percent say they typically feel tense or stressed out during the workday. A 2001 Bureau of Labor Statistics report cites that the median number of days away from work due to anxiety, stress, and other similar disorders was four times the median for all other nonfatal injury and illness cases. Houston, we have a problem. While a significant reduction in workload and/or increase in pay doesn’t seem likely to happen in the immediate future for most people, you can increase your happiness by taking care of yourself – eating right, sleeping well, and engaging in mindfulness based stress reduction. MBSR is a multifaceted approach that incorporates hatha yoga, meditation, and body-scan (a guided awareness practice). Yoga addresses the prevalence of disuse atrophy that is at the root of so much chronic pain and illness, while awareness practices such as meditation and body-scan train the mind to focus. MBSR has been found to have a high rate of participation after the program is finished, even three years afterward, according to studies in the 80s and 90s. This is in part because each of the practices are unique and work well for different people and each person is free to continue with the practices that work best for them. MBSR was pioneered by Jon Kabat-Zinn at the University of Massachusetts Medical Center in 1979. Today, MBSR is offered as an eight week intensive course for medical students and professionals in over 200 medical centers, hospitals, and clinics throughout the world. It is a useful tool for students and professionals dealing with the intensity and pace of the medical profession. Many of these professionals share it with patients to help them cope with the stresses of illness. There have been several studies conducted to verify the efficacy of the MBSR program. Findings as recent as 2008 still come to the same conclusions as studies in the previous two decades; “MBSR studies with varied populations have found significant decreases in anxiety/depression, mood disturbance, somatic symptoms of stress, and present-moment pain. Other mindfulness studies have demonstrated improvements in quality of life, health-related quality of life, general health, sleep quality, immune function, and decreases in psychological distress and physical symptoms and conditions.” Each of the MBSR practices is at its core an awareness practice, and perhaps that is why they are so successful. Awareness is a skill seldom taught by the public school system. We are a very forward focused society and we are taught to focus on the next assignment, the next promotion, the next weekend. Kabat-Zinn writes, “We are driven by the urgent, miss the important and then wind up a lot of the time being unhappy.” The greater truth about America is that most of our poor are fed, clothed, and housed. Each moment we are alive in the middle of our busy, stressful lives, we could instead be alive and begging on the street in Thailand or India. We could be in the middle of a civil war in Sierra Leone, or in a crowd of restless agitators in Tunisia. We are among the luckiest nations on earth, although we often don’t remember how lucky we are. This is nothing new, so why all the fuss? Perhaps a better question is, why not more fuss? We have known for decades that there are effective, low cost solutions to the mental and physical health consequences of chronic stress. If you accept the presumption that our chronic stress isn’t going to end any time soon, why are we not teaching our children to take their health into their own hands at a very young age? Do your community a favor. Learn these techniques. 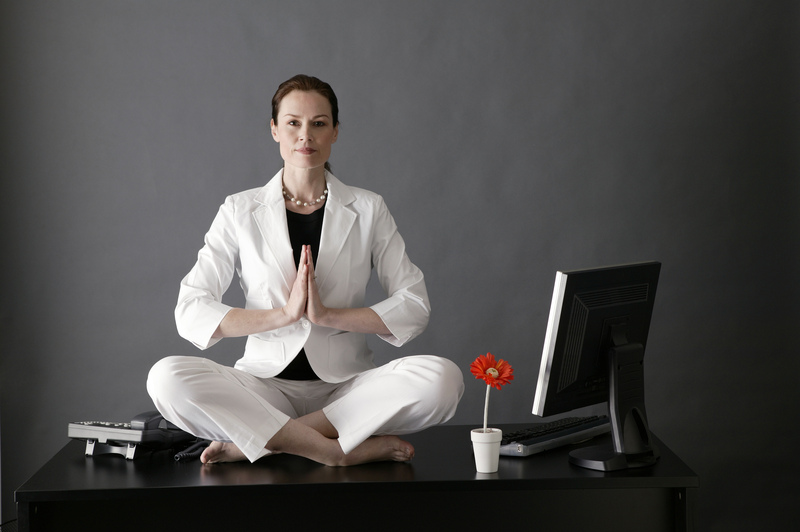 Practice mindfulness based stress reduction. Then teach them to all the people asking you why you’re so happy! 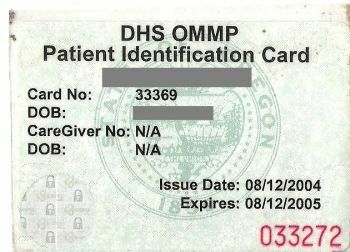 An example of an Oregon State medical marijuana card. All of us have probably heard the terms leukemia and autism before, but do we fully understand what challenges parents are faced with day in and day out with such disorders? Autism is a brain disorder that often makes it difficult to communicate with and relate to others. With autism, the different areas of the brain fail to work together. This leads to anti-social behavior, repeated types of behavior like body rocking, and becoming upset when routines change. With one in every 88 children diagnosed with autism in the United States, more parents are searching for answers and treatments that work. One problem with autism is that there is no typical case. People can have many different types of behavior, from mild to severe. In nearly one in three cases, children with autism experience seizures or seizure disorders such as epilepsy. Although marijuana is not currently considered a treatment for autism by the medical profession, it is considered a treatment for seizures and mood altering behavior. So, what makes medical marijuana a safe treatment for children over the more traditional treatments? “The American Academy of Pediatrics recommends the use of scientifically validated treatments. The use of medical marijuana to treat autism has not been tested and could be dangerous for children,” says Susan Martin, director of media relations at the American Academy of Pediatrics. Although long term effects from marijuana have yet to be determined, using marijuana at such a young age may be detrimental to the child’s brain growth and development. Traditional treatments for autism include special behavior training, speech therapy, physical therapy, and FDA approved drugs. Melatonin and Chelation are widely used, legal treatments for autism, where medical marijuana is only legal in 18 states. There are many traditional treatments available to parents for children with these disorders that are safe, legal, and readily available across the nation. However, as a parent when you are faced with the challenges of raising a child with special needs, you may find yourself weighing the possible long term effects against the apparent short term benefits of non-traditional treatment, even if it involves allowing your child access to a medical marijuana card. 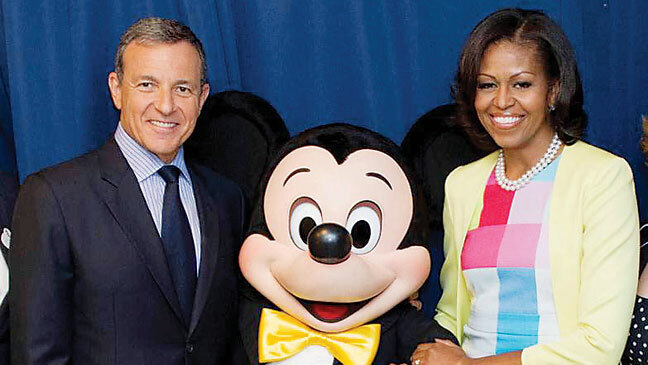 Disney CEO Robert Iger and First Lady Michelle Obama present new initiative together at June 5 press conference. In an effort to combat America’s escalating childhood obesity problem, the Walt Disney Company, together with First Lady Michelle Obama, announced on June 5 its plan to remove junk-food advertising from its kids’ programming by 2015. This initiative, presented by Disney CEO Robert Iger at the Newseum in Washington, will require companies advertising food and drinks to meet a set of nutrition standards in accordance with the government’s dietary guidelines. By 2015, when the full ban is slated to be in place, such companies must either reformulate their products or they will be cut off from advertising on all of Disney’s programming. Disney is a wide-reaching and influential media company, including amongst its many divisions, a leading film studio, the ABC broadcast network, and multiple cable channels. The ban on junk-food advertising will primarily apply to its programming for children, which accounts for millions of dollars of revenue for the company each year. While this initiative may represent a loss of money for Disney, it is not expected to be a significant amount relative to the company’s total operations. This small cost is seen as a smart business move for the positive publicity that this initiative will afford the company. When a food or drink product meets Disney’s nutrition standards, it will receive a Mickey Check, a symbol also newly introduced as a part of Tuesday’s announcement. Additionally, Disney plans to revamp its menu items and offer more fruit and vegetable options at its domestic theme parks by next year. 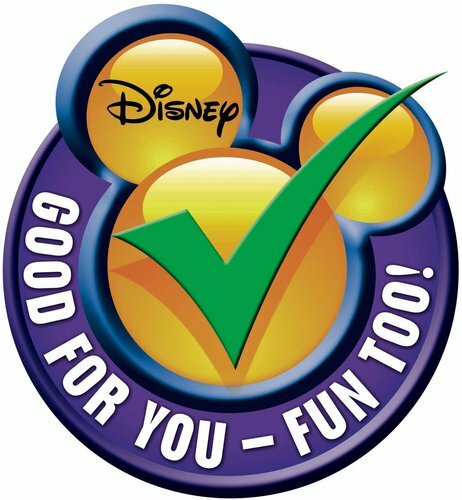 Food and drink items will receive a Mickey Check when they meet Disney's nutrition standards. Disney is being lauded for its acknowledgement of media’s heavy influence on children, particularly in junk-food advertising, as well as, its commitment to battling childhood obesity. Such was the draw for Michelle Obama’s involvement, who has made fighting childhood obesity a cornerstone of her time in office. This initiative is the first time that a wide-scale media company is taking control of what food products are being advertised to children. Some believe that with this ban, Disney may completely change the landscape of food marketing toward children with other stations such as Nickelodeon and the Cartoon Network anticipated to take notice and act accordingly. Feb 14 Local Highschool to Take a Stand on Social Health of Students. Any person who has served his or her four years in public highschool knows what a positive – or not – experience it can be. While the stories of teen depression, tech-savvy bullies, and even suicides increase, it seems as if authority figures in and out of the teen scene are at a loss for ways to answer the question, ‘How can we improve relationships between students?’ Two years ago, this question was passed to a handful of students in an Albany, Ore. high school, and as it turns out, they had a pretty good answer. At the start of the 2009-2010 school year, West Albany High School health teacher Laura Blackwell asked this question of her service learning class, known as PEERS, a class designed to make its’ students socially aware of their peers, and to teach them how to be a part of and promote a healthy environment for the entire school. There had been long running curiosity on the benefits of a ‘Challenge Day’, a program centered around improving relationship amongst students with a six-and-a-half hour long workshop where students play get-to-know-you games, listen to several guest speakers, and then are divided into small groups for a guided discussion. When a body of students commits to the workshop, as is usually the case, it becomes and emotional, enlightening, and gratifying experience for every person involved. The idea was widely accepted between the two periods of PEERS classes, though they were not so keen on the idea of paying thousands of dollars for the Challenge Day organization to come for one day. They believed that they had the leadership capable of pulling off a Challenge Day of their own, and the PEERS classes entered the development stage of their own program. A few months later ‘Impact Day’ was born. On it’s test run in the spring of 2010, Impact Day pulled 100 students from the junior and senior classes for a day long workshop. Impact day loosely followed the outline of Challenge Day, though with games, speakers and presentation individualized to the West Albany High School students, as well as other games and activities that the school has been playing in pep assemblies for years. With the students familiarity with the leadership, location, and events, Impact Day was hailed as a success and slated for two more reappearances for the junior and senior classes again in the 2010-2011 school year. Class of 2012 Seniors playing a get to know you game on their Impact Day in November. West Albany High School has since become a model for several other schools looking to improve the social health of their students, including South Albany, Lebanon and Crescent Valley High Schools, all centered in the Willamette Valley in Oregon. Fighting arthritis pain with leisure-time physical activity (LTPA) should be general practice. According to The Centers for Disease Control and Prevention (CDC), throughout the U.S. adults with arthritis have higher rates of no leisure-time physical activity compared to adults without arthritis. Using the data found in a recent Behavioral Risk Factor Surveillance System (BRFSS) automated survey, there is a nation wide disparity between no LTPA in adults with arthritis and those without arthritis. The startling discrepancy between the two groups has prompted the CDC along with The Arthritis Foundation to promote federal initiatives to increase health communication campaigns directed to arthritis sufferers as well as promote community-based low impact exercise programs and disease-specific training for exercise professionals. Prevalence of no LTPA ranged from less than 20% in Colorado and Minnesota to 40% or more in Tennessee. Despite the overwhelming research indicating physical activity improves mental and physical quality of life, arthritis sufferers are hindered to start an exercise routine due to a fear of injury, chronic joint pain, and a general lack of knowledge of safe and appropriate levels of activities. Physical activity need not be strenuous to obtain benefits; 30 minutes of brisk walking can be broken up into three 10 minute sessions. Adults with arthritis who reported having no leisure-time activity make up >33% of the adults per state who reported no LTPA. The Arthritis Foundation initiated a wellness campaign to increase LTPA called Fight Arthritis Pain. The question asked, prompts adults with arthritis to answer the question, “How do you fight arthritis pain?” A national ad supporting LTPA shows Billie Jean King fighting arthritis with tennis. “In 2012, the CDC Arthritis Program will initiate work with the American College of Sports Medicine to develop an arthritis-specific, skills-based training and certification program for fitness professionals” (CDC). Medical practitioners and fitness professionals should educate adults with arthritis on low impact disease-specific exercises in an effort to increase physical activity and quality of life. Consequently, increasing information and community-based exercise programs will decrease the overall rate of no LTPA in U.S. adults. Although research has shown that physical activity decreases the occurrence of pain and suffering in chronic disease patients the BRFSS survey uncovers a prevalence of no leisure-time physical activity in adults with arthritis compared to adults without arthritis. 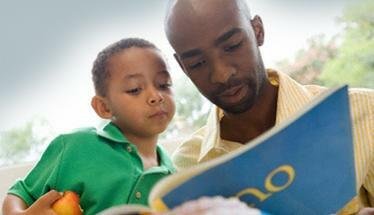 The CDC will work to promote health education for patients with arthritis. Information targeted to these patients will include disease-specific exercise programs available and the benefits of physical activity. The CDC will also work on fostering policy and environmental initiatives that impact and benefit patients with arthritis. The ultimate goal is to decrease the national no LTPA rate for all adults, particularly those who suffer from arthritis pain. Feb 06 Ketamine: a Miracle Antidepressant? The Ben Taub General Hospital in Houston, Texas recently released information about the “club drug” Ketamine, that is most widely used as an anesthetic, stating that it can quickly relieve symptomsof major depressive disorder. Ketamine, before this miraculous discovery, was mostly used as a recreational drug under the nicknames “Special K” or just plain “K.” When used illicitly, Ketamine can cause a temporary episode of psychosis, including hallucinations and a dissociative state of mind. When administered intravenously by a doctor, Ketamine is a very powerful new tool, fighting depression in some patients in as little as 40 minutes and lasting anywhere from one to two weeks. This is very different from the traditional antidepressant, which takes anywhere from two to four weeks to fully take effect, and could increase suicidal thoughts in children, teens, and young adults. “This is supposed to help for a couple months. The study is still under way, so it’s hard for us to know now how long the effects will last. Will it cure depression for a year or longer? I don’t think so. But we’re hoping it will work for a few months in the second trial,” said Dr. Asim Shah, who directs the mood disorder program at Ben Taub General Hospital. This new use for Ketamine gives a lot of people who were helpless and hopeless, hope again. For the 40 percent of individuals who did not respond to traditional antidepressants, those used in inhibiting serotonin and norepinephrine, Ketamine seems to work wonders for them on the first dose. 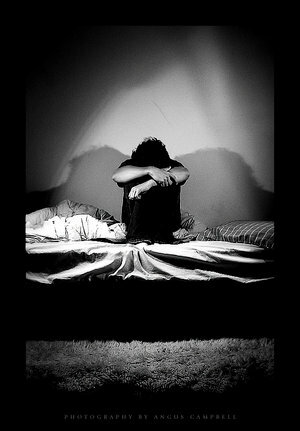 Now, patients such as these can see a doctor on a weekly, or biweekly basis and get relief from their depression. 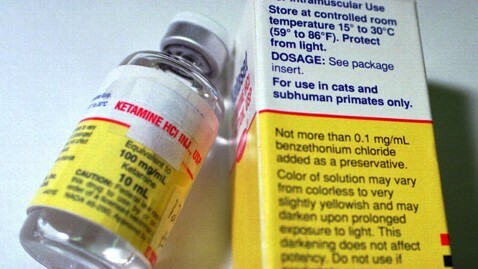 A bottle of liquid Ketamine before it is administered to a patient. Researchers at Yale University have identified the chemical pathway and key enzyme involved in Ketamine’s actual restoration of connections between brain cells. The enzyme is called mTOR, and it is critical in the synthesis the nerve cells need to repair at their synapses. This raises a couple questions: Does this mean that Ketamine can also prevent relapse in those with depression? And, does this mean that those synapses are permanently fixed? Senior author Dr Ronald Duman, professor of psychiatry and pharmacology at Yale University and a team of colleagues, tested the drug on rat’s depression-like behavior and found it to drastically improve their behavior. As stated above, he also found that it restored connections between neurons or brain cells that had been damaged by chronic stress. It is a doctor’s hope that this temporary relief from depression will give patients enough courage and faith that they can, too, get better. Jan 30 Could Nicotine Vaporizers End Cigarette Smoking? Nicotine vaporizers, otherwise known as e-cigarettes, are gaining popularity and giving cigarette smokers a cleaner, healthier, more environmentally safe option. Despite popular opposition, e-cigarettes help thousands of people quit smoking. Invented in China by Hon Lik in 2003, electronic cigarettes vaporize nicotine cartridges with an atomizer, a heating element that heats the nicotine solution in the cartridge until it becomes vapor that in then inhaled by the user. Cartridges come in either replaceable or refillable varieties (refills take the form of liquid nicotine in varying strengths and flavors). The vaporizing mechanism is powered by a rechargeable battery. E-cigarettes come in a wide variety of styles and are produced by dozens of companies worldwide. According to popular vaporizer community website Electroniccigarettesreviews.net, the top three e-cigarette manufactures are The Safe Cig, Green Smoke, and V2 Cigs. As their names suggest, e-cigarettes are being hailed by the smoking community as revolutionary. For smokers of traditional cigarettes, switching to a nicotine vaporizer can be, literally, life saving. E-cigarettes contain none of the carcinogenic chemicals found in traditional cigarettes! Because they emit harmless vapor, e-cigarettes pose no danger to others in the style of second-hand smoke. Vapor converts report improved respiratory health and increased energy, not to mention the freedom to vape anywhere, the elimination of cigarette smell and an inevitable decrease in the necessary for frequent laundry. E-cigarettes can also be less expensive than tobacco cigarettes depending on the individual. Greensmoke.com has a handy calculator to determine potential savings. A study published in the Journal of Public Health Policy in February 2011 by Zachary Cahn and Michael Siegel of the Boston University School of Public Health concluded “Few, if any, chemicals at levels detected in electronic cigarettes raise serious health concerns.” In fact, the overwhelming benefits of nicotine vaporizers over traditional smoking should eliminate the concern over e-cigarettes as a gateway device into tobacco smoking. In addition to personal and social health benefits, the lack of smoke and cigarette-related trash make vaporizers dramatically better for the environment. However, public support for e-cigarettes in the United States is severely lacking. This diagram, courtesy of Nytimes.com, displays the parts of the device. Inventor Hon Lik first envisioned the vaporizer as a cloud of fog. Instead of supporting e-cigarettes as a healthy alternative for smokers, a 2011 statement by the FDA declared that e-cigarettes would be regulated under the same laws as tobacco products despite containing no tobacco whatsoever. Instead of recognizing the potential life-saving benefits of nicotine vaporizing for smokers, e-cigarettes are being lumped in with regular smoking in an upcoming 2014 University of California campus-wide ban on smoking as well a ban from use on airplanes. FDA.gov states that “Because clinical studies about the safety and efficacy of these products have not been submitted to FDA, consumers currently have no way of knowing whether e-cigarettes are safe.” However Michael Siegel argues, “The FDA and major anti-smoking groups keep saying that we don’t know anything about what is in electronic cigarettes. The truth is, we know a lot more about what is in electronic cigarettes than regular cigarettes.” As more smokers switch to vaporizers, the question will be whether government agencies are willing to accept non-toxic nicotine consumption in a vein similar to popular caffeine consumption. “I feel like they just don’t want us to have our cake and eat it too,” says one vaper who quit tobacco cigarettes last month. Despite FDA claims that e-cigarettes are marketed toward children, nicotine vaporizers carry an 18 and over restriction and many popular e-cigarette websites prompt age verification before loading. Public opinion toward nicotine consumption could be experiencing dramatic changes. In addition to the rise of e-cigarettes, nicotine has been involved in recent studies as a treatment for ulcerative colitis, depression, Alzheimer’s, OCD, and ADHD. For smokers looking to switch, more information can be found at Electroniccigarettesreviews.net and Puresmoker.com. 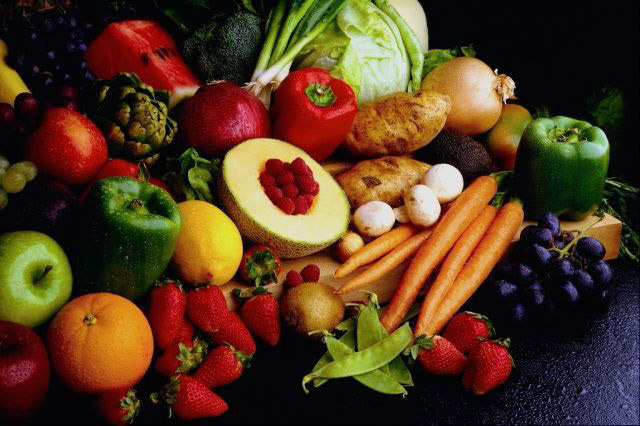 Common flavonoid-rich fruits and vegetables. People who add a moderate amount of flavonoids, plant compounds found in food and beverages, to their diets are less likely to suffer from serious health problems, recent studies show. There are over 4,000 compounds classified as flavonoids, many of which can be found in a variety of fruits and vegetables, as well as tea, beer, wine, nuts, and soy. Research suggests that the naturally occurring plant compounds have a number of beneficial effects on human health, including a reduced risk of cancer, asthma, stroke, and heart disease. A recent study conducted on nearly 100,000 older U.S. adults found that those who consumed the most amount of flavonoids were less likely to die of heart disease or stroke, compared to those who consumed the least amounts, over the next seven years. The participants were divided into groups of five – based on their flavonoid intake. One-fifth of those with the highest level of plant compounds were 18 percent less likely to die from cardiovascular trouble than the group with the lowest intake. A study conducted at UCLA found that smokers who consumed high levels of these compounds in their diets were less likely to develop lung cancer. Zhang suggests that flavonoids may prevent cancer cells from blocking, in addition to blocking the formation of blood vessels that tumors develop. The secret lies within the compound’s antioxidant activity. Like other antioxidants, flavonoids provide the body with protection against cellular damage. Due to the common high intake of fruits, vegetables, tea, and wine, these plant-based compounds may, at times, have stronger antioxidant abilities than those of vitamins C and E.
Many of these foods are consumed on a daily basis. Most vegetables, particularly those that are green and red, contain high levels of the compound. Tree fruits, spices, and beverages, including red wine and tea of all types, are also among a long list of flavonoid-rich foods.